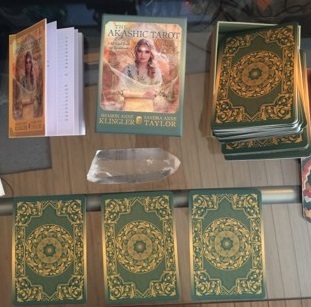 I have my own Akashic card project in the works so I couldn’t help but notice this deck – The Akashic Tarot: A 62-card Deck and Guidebook . This tarot deck is by Sharon Anne Klingler and Sandra Anne Taylor. It was Alfred Percy Sinnett who brought the idea of the Records to the West. He described a Buddhist belief in ‘a permanancy of Records in the Akasa’ and man’s ability to read the same. Alfred Sinnett was the author of Esoteric Buddhism, (1884). 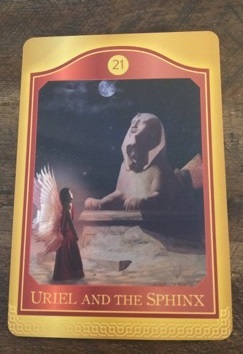 They also make it clear that future potentials are being read when using the Akashic Tarot. 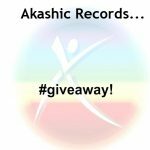 If you have read my free learning series on email, or have studied the Akashic Records in some way, you will know that the Akashic Records is a ‘Record’, literally, of our past. 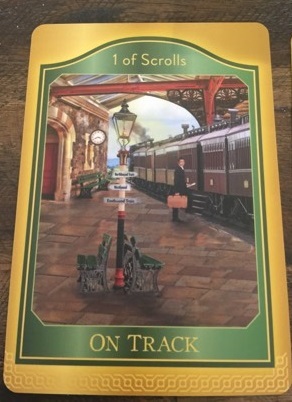 As a Soul moves through its’ journey it leaves an Akashic ‘Record’ of actions, thoughts, emotions, and circumstances in the past as an energetic data trail. This data trail includes Past Lives, and everything happening in the Soul’s present life up until the present moment. As a result of reading the Akashic Records we can to make better choices by learning to read future probabilities and possibilities. Read the descriptions of the cards in the guidebook and study their meanings. Turn the visuals that you see on the cards into a movie and ‘watch’ what comes up. Activate your intuition – this is an invitation to your Akashic Guides and Spirit Guides. I agree, doing all three of these things makes for an interesting and enlightening Akashic Tarot reading. I did a three-card spread for my reading, described as ‘an easy way to look at past circumstances, present circumstances and future potential’. In my Past Lives, one of my big connections is with the Egyptian Mystery School. As you can see from the second card is definitely an indication that my path is a good one. 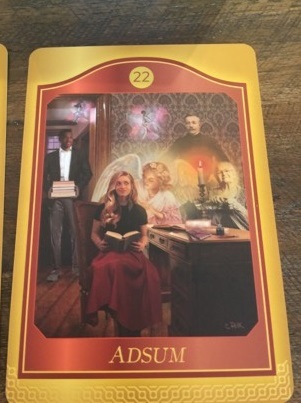 The Adsum card was very interesting to me. It reminded me of old fashion mediumship readings, and notice the girl is reading a book (I took that to mean ‘the Book of Life’ or the Akashic Records). It’s card 22, which is my lucky number. Notice the Angel Guide whispering in the girl’s ear, and the Angels present. The girls sitting at the table is going to read lots of other books or Records. In conclusion, I think this is a very useful tarot deck and well worth the study. If you are interested in awakening your Akashic Energy and use the three recommended steps, this card deck will work well for you.